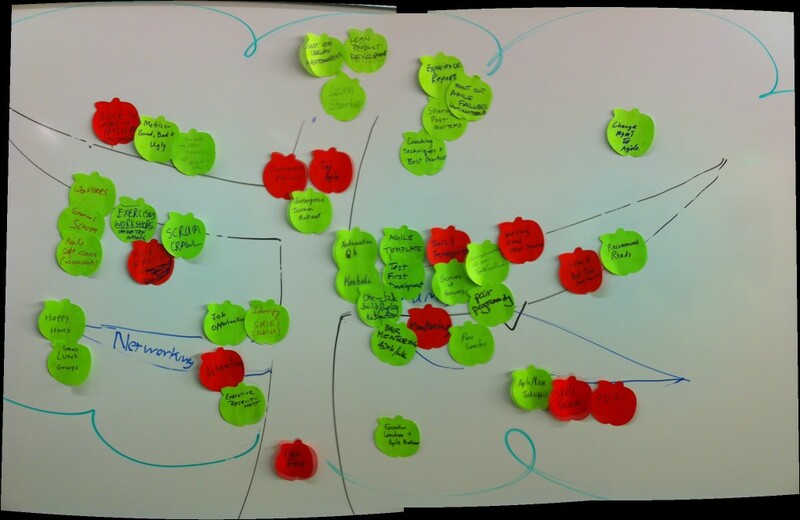 What are the current values for Knowledge, Risk, and Customer Value? Which way are they heading? What next steps will bring me closer to what ought be? Alistair Cockburn has been explicitly modeling Knowledge for years, and in fact his writings considerably influenced my thinking on these three variables. 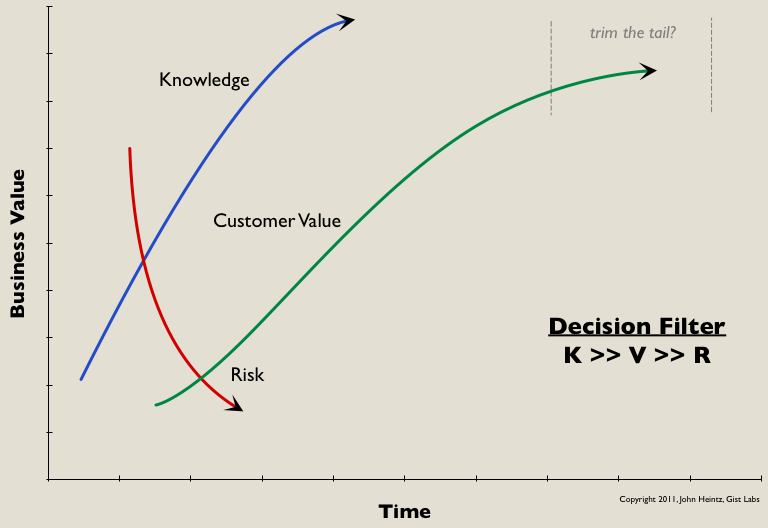 See Alistair’s Knowledge Acquisition Curve for more details. Very recently David Anderson has reframed Kanban as a Knowledge Discovery Process. Risk Management is an extremely underused tool. Usually someone, somewhere, just decides arbitrarily what should or shouldn’t be done. Customer Value is the important to everyone, but in Agile Scrum projects it’s especially the the Product Owner who is responsible for growing that curve.